A new cat cafe has opened up right close to the GSC Offices and they have large glass window at the front. Every time I walk past I get to look at all the kitties and feel all warm and fuzzy inside! Anyway, today I’m going to be taking a look at another of the ORANGE ROUGE items that is currently up for preorder! 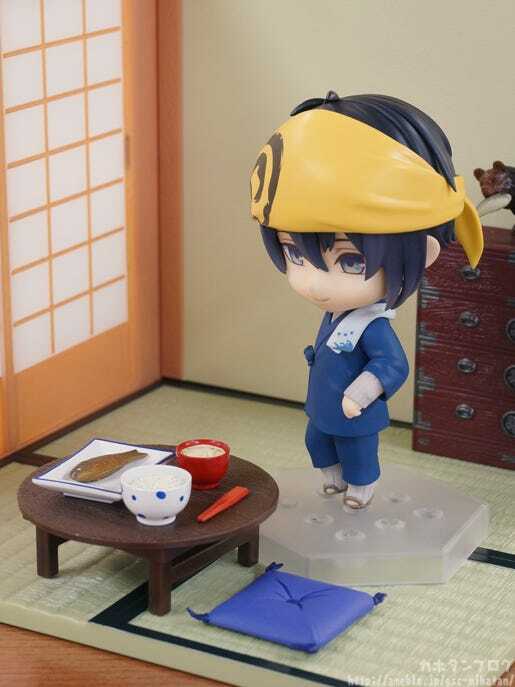 Nendoroid Co-de Mikazuki Munechika: Uchiban Co-de! 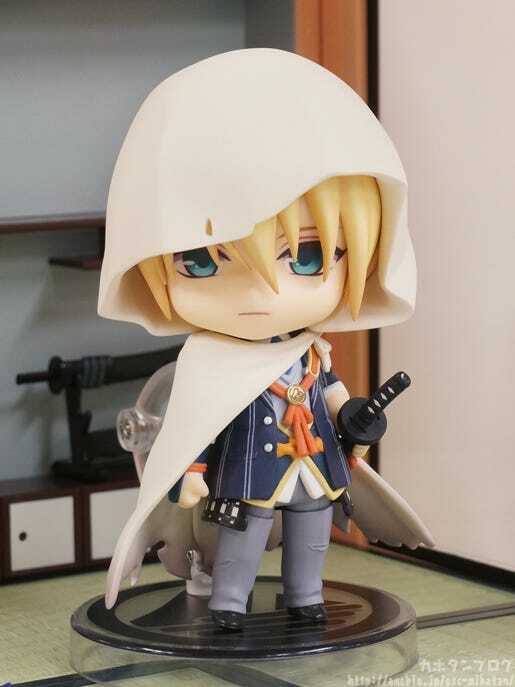 From the popular browser and smartphone game ‘Touken Ranbu -ONLINE-‘ comes a Nendoroid Co-de of the most beautiful of the Five Great Swords – Mikazuki Munechika in his ‘Uchiban’ outfit for helping out around the citadel! The dark blue outfit comes with a yellow bandana which contrasts beautifully to show off the great sword’s beauty even in work clothes! Be sure to add him to your collection! 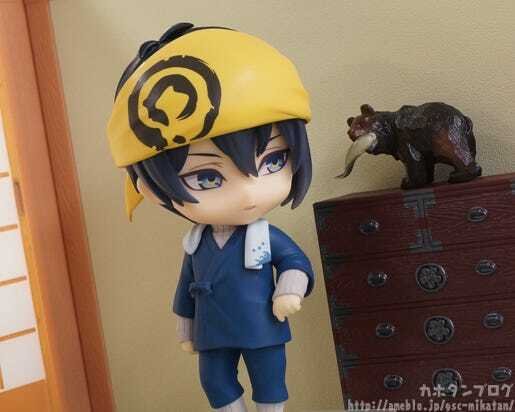 Nendoroid Mikazuki Munechika was in fact the first ever Nendoroid in the Touken Ranbu series, and now he is back again wearing his Uchiban outfit as a member of the Nendoroid Co-de series!! 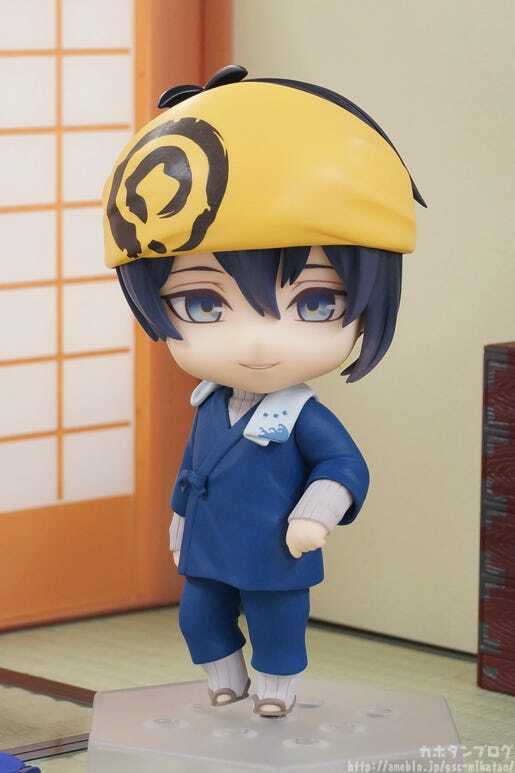 The dark blue outfit and lovely contrasting yellow bandana make for a rather different, more composed appearance compared to his standard Nendoroid! His expression looks straight ahead with a gentle smile! ▼ How he looks from the back! Also note the few tufts of hair that overlap onto the banner, as well as the slight nuances on the fingers of his left hand! 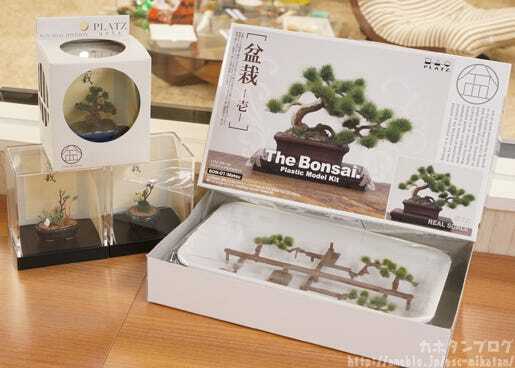 ▼But what exactly is a Nendoroid Co-de? 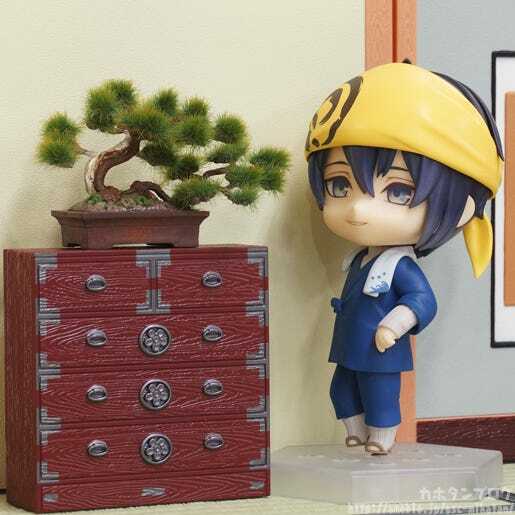 ▲ To put it as simple as possible, they are Nendoroids that are in a fixed pose! They can simply be removed from the packaging and displayed as is! 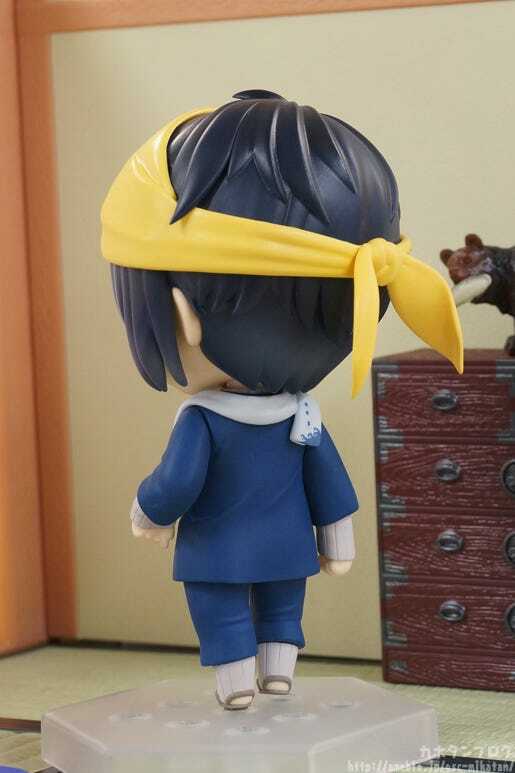 However the head parts are exactly the same as standard Nendoroids allowing them to be moved around like above! My photos today are also making use of this lovely background set! 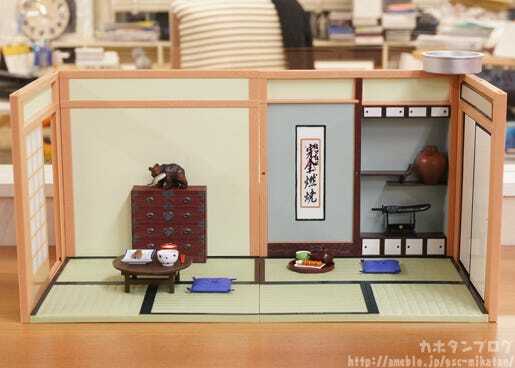 ▲In my last blog I took a closer look at the Nendoroid Playset #02: Japanese Life Set B – Guestroom Set and today I’m going to be taking a look at the Nendoroid Playset #02: Japanese Life Set A – Dining Set! 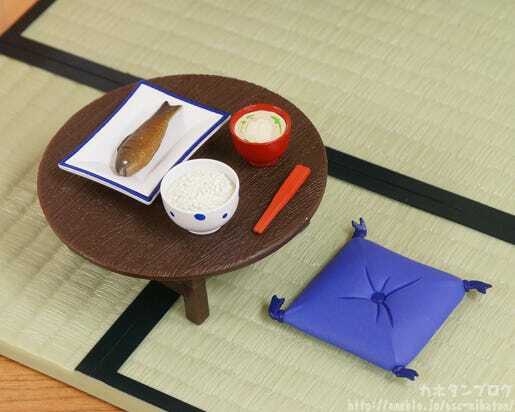 ▲Dining table, cushion and some Japanese-style food! 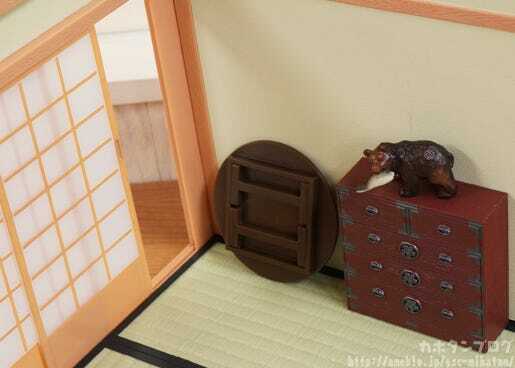 ▲ A chest of drawers and wooden bear sculpture give impeccable taste! The dining table can also be folded up and stored like the above, and the sliding doors can actually be opened and closed! 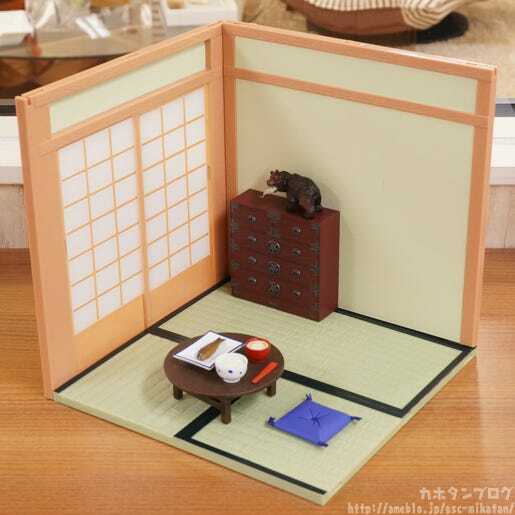 ▲ You can combine the A and B sets into a single room! 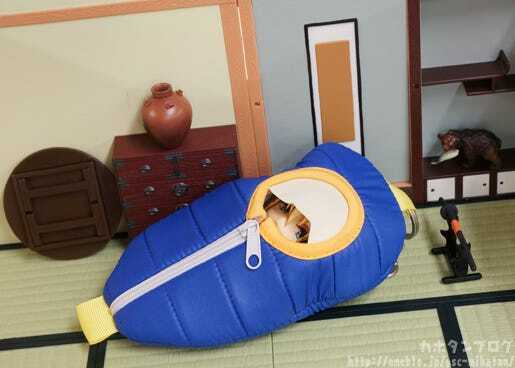 ▲More than enough space to have the sleeping bag out for a nap in! 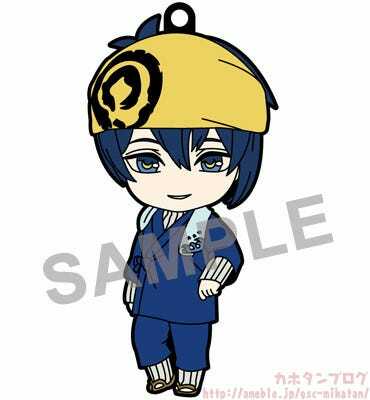 ▲ Nendoroid Yamanbagiri Kunihiro is currently up for preorder too! Check out the links below for updates!